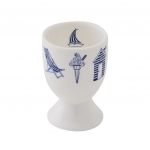 This beautifully hand illustrated Nautical Egg Cup highlights a nostalgic and whimsical view of the seaside, serving as a reminder of everything you love about holidays in the UK. 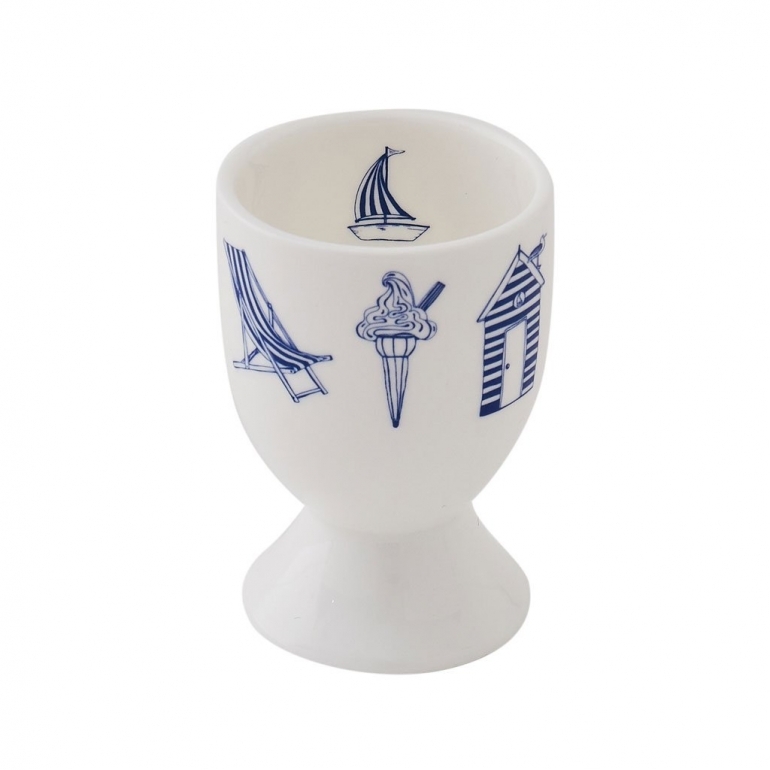 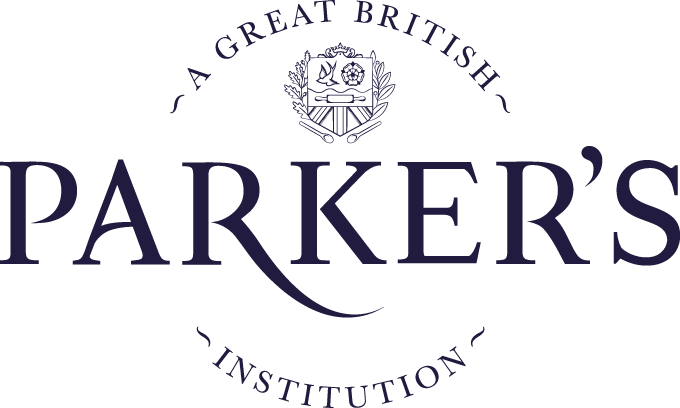 It features 8 nautical icons so associated with British seaside towns that tourists can often be seen posing with them; these include a beach hut, lighthouse, deck chair and seagull. 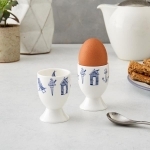 This fine bone china egg cup by Victoria Eggs will add some seaside charm to your eggs and soldiers!